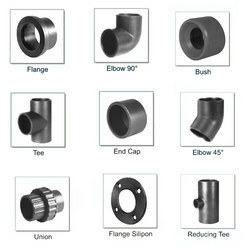 Our wide range of Pipe Fittings is mostly used for connecting pipe ends. Manufactured using premium quality raw material our range of pipe fittings can be used in pressure as well as non-pressure applications. These are available in a variety of designs and sizes. Chicago Pneumatic is a leader in the design and manufature of industrial compressors, including tank mounted and dryer versions. The two asymmetric rotors, which are equal in diameter, are mounted on high-quality, low-wear bearings. The high degree of pressure seal and very fine tolerances reached by the rotors are guaranteed even in low-power operations. 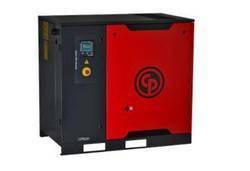 The CPD series of industrial air compressors ranges from motor ratings 75 hp , 100 hp & 120 hp. each model is available in three pressure variants viz, 8 bar , 10 bar & 13 bar, with capacity ranging from 360 cfm to 530 cfm. 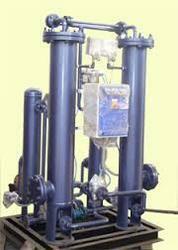 AIR net is an innovative compressed air distribution system. This is the most efficient solution from source to production. AIRnet is a compressed Air Piping Systems that delivers quality air exactly where you need it, from compressor to the point of use. PSA Nitrogen Gas Generator “Copper” DX model contains an extra nitrogen purification module based on copper deoxo catalyst. This model finds application in synthetic fiber, optical cables & electronic industries. Running cost of this unit is slightly higher because it produces very pure nitrogen gas i.e free from oxygen and hydrogen as well. It is applicable where hydrogen contents are detrimental to the process. Air Dryer & Airnet Aluminum Piping solutions offered comprise complete range of piping choices and are ideally suited for applications involving purification and filtration of air, drying compressed air and in other applications. The piping options offered provide for superior usage efficiency, low cost inputs and easy assembly options. Further, the use of special aluminum alloy also ensures prevention of corrosion and metal degradation. These are suitable for use in industry sectors like in specialized engineering, workshop, pharma, textiles and other sectors with the piping solutions offered being leak proof as well as providing for longer service life. We are a leading supplier of Jointing system in a wider range of fittings of pipes. Our wide range of Pipe fittings is mostly used for connecting pipe ends. Manufactured using premium quality raw material our range of pipe fittings can be used in pressure as well as non-pressure applications. These are available in a variety of designs and sizes. Our organization is backed by rich industry experience of more than 11 years in distributing, supplying and trading of a wide range of industrial air compressors, air dryers, industrial gas generator, nitrogen gas plant. 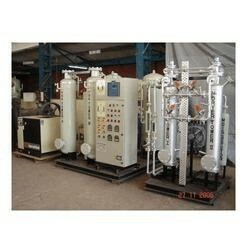 The range available with us includes PSA Nitrogen Gas Generators, Ammonia Crackers, Compressed Air Dryers etc. These are renowned for high functionality, low maintenance and easy operation. With our domain expertise, we specialize in undertaking complete turnkey projects. We offer services right from designing, fabricating, commissioning and installing the plant at client’s site.